As Atlanta continues to grow, the city itself is needing to evolve in order to work for the demands of the modern resident. 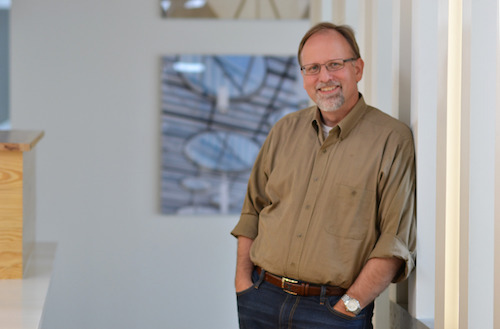 Bob Begle currently is the principal urban designer at the architecture and design firm Lord Aeck Sargent. He began his career in 1996 to help prepare Atlanta for the summer Olympics, which included neighborhood revitalization plans and public space design efforts such as parks, streetscapes and public art to help improve the areas in and around downtown. More recently Begle has worked on urban mixed-use sites including master planning for the new owners of Pullman Yard to comprehensive city-wide plans for suburban cities such as Suwanee. In this Q&A,Begle discusses how the city has evolved over the past 20 years and why Atlanta has become a destination for so many people. Q: What was Atlanta like when you first began working in Atlanta? In those “early” days, Atlanta was a city that was very automobile-oriented and was rapidly expanding outward toward the horizon. In the suburbs, strip retail centers and single-family developments ruled the day. In Midtown, Downtown, Perimeter and Cumberland, speculative office towers dominated the development landscape. Terms like “mixed use” and “live-work-play” were unfamiliar to most. In short, people lived in the suburbs and commuted to their jobs in the city or in large business parks. Q: How has Atlanta changed since then? Atlanta as a region has evolved, diversified and matured. We are still auto-oriented, no doubt. However, there is now a greater focus on good “urbanism” in both the core of the city as well as in metro suburbs. As a community, we now place a greater emphasis on creating walkable, interconnected places. We no longer design streets as a means solely to move cars quickly by adding lane after lane. We now think more in terms of “complete streets” that accommodate bikes, pedestrians, busses and cars. Atlanta is more focused than ever on the creation of unique urban spaces such as pocket parks, storefront streets and community gardens. Q: What would you say is the biggest addition that has been made to the city? Perhaps the biggest change in Atlanta in recent decades is the focus on mixed-use development. We no longer seek to segregate and isolate land uses. Rather, we seek to build 24/7 places where you can live and work in the same neighborhood, block or sometimes in the same building. What were once large urban business and shopping districts are now more interesting places with thousands of new mid- and high-rise housing units. In the suburbs we now seek to create unique “town centers” that are smaller versions of their urban cousins, but still focus on co-locating a mix of uses and experiences. No one project embodies the changes in Atlanta more than the BeltLine. The on-going conversion of a 22-mile, abandoned railroad corridor has radically changed development patterns. It also has led to significant mixed-use construction on adjacent property and the re-use of hundreds of previously underused industrial buildings into cool, funky restaurants, lofts, office spaces and galleries. Q: Atlanta is currently seeing major growth in population. What is it about Atlanta do you think is attracting so many people? One of the leading factors is the “relative” affordability of housing and low cost of living. While housing affordability is a quickly rising challenge in Metro Atlanta, it has not been as severe as other major metropolitan regions in the Northeast, the Mid-Atlantic, the Pacific Northwest and California. In addition, Downtown and Midtown’s continued evolution into true “urban cores” offer the potential for an urban lifestyle that is highly attractive to millennials, whether they actually live in the core or choose a suburban life, a 30-minute drive away. Other factors driving population growth in Metro Atlanta are geography (centrally located within the Southeast, an International Airport), weather (attractive to Northerners and Midwesterners) and economics. Metro Atlanta is generally considered a “pro business” region and is consistently rated among the leaders as a top choice for business relocations. With high access to jobs, high quality of life and a relatively low cost of living (albeit on the rise), metro Atlanta is a logical attraction for college graduates and young families seeking to start a new life.